Medics responded to overdoses in D.C. on Thursday. The deaths of five people in D.C. in the past 24 hours are being investigated as possible synthetic drug overdoses, officials say. Medics treated at least 47 people for overdoses in the city between Thursday afternoon and Friday afternoon. Most of the overdoses occurred near organizations that serve homeless people, including near nonprofit So Others Might Eat at 1st and O streets NW. The nonprofit says drug dealers are targeting homeless people. "They come to prey on the people who come to our programs," COO Barbara Richard said. "We serve a very vulnerable population, many who are already drug addicted." In the past 10 days alone, 261 people have overdosed on synthetic drugs in D.C. Officials say they're coping with a new batch of the drug, which can be deadly. News4's Mark Segraves reports. D.C. Department of Behavioral Health Director Dr. Tanya Royster said autopsies will determine if the five deaths are from a fatal batch of synthetic drugs. There have been 1,035 overdoses in the past two months, according to D.C. Fire and EMS. This summer, D.C. health officials said synthetic cannabinoids — also known as K2 or Spice — were believed to be to blame for a spate of illnesses. Over a 10-day period in July, the fire department transported 261 people for synthetic drug overdoses. In that same period, 99 people were treated but not taken to hospitals. The District is not the only city having this problem, D.C. Chief Medical Examiner Roger A. Mitchell Jr. previously said. "There are cities across the country that are seeing similar spikes, and D.C. is seeing this now. We're hoping that the programs that we're putting in place can get individuals the help that they need," he said. The drugs sell for as little as $2 per pack. Many of the overdoses have occurred near homeless shelters. 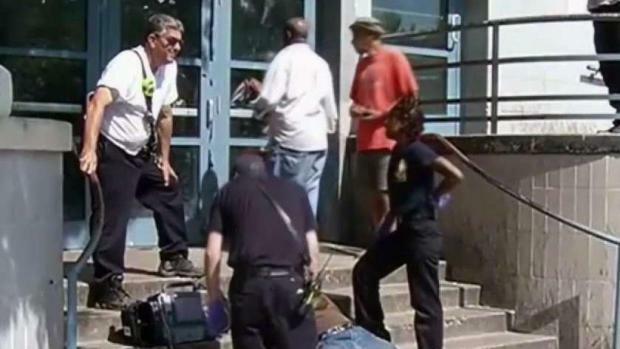 A potentially fatal batch of K2 has hit the streets of DC. Smoking or ingesting K2 or "Spice" may lead to overdose or death. Avoid at all costs. A deadly new strain of the drug has hit the streets, said Dr. Jenifer Smith, director of the city's Department of Forensic Sciences. "They're all very, extremely dangerous, and part of what makes this dangerous is as you buy this product, you don't know what's in there," Dr. Jenifer Smith, director of the city's Department of Forensic Sciences, said. D.C. saw another major spike in synthetic drug overdoses in July 2016. Nearly 600 overdose victims were transported in that month alone. If you think you see someone overdosing, call 911. Overdose signs include collapse, unconsciousness, vomiting and physical aggression, a flyer from the city says.